They are becoming more complicated by the day. With advancing technology, criminals continue to find new ways of fooling the gullible and innocent members of the public. And although Samoa is remote and isolated in the middle of the vast Pacific Ocean; we are not immune. Far from it. In fact, given the lack of understanding among our people about the work of hackers and e-criminals who will take advantage of loopholes available to them, our people are especially vulnerable. Believe it or not, there are some very intelligent members of this community who have already become victims. You will be surprised. And if intelligent people have been fooled, how could ordinary citizens stand a chance? We are talking about the work of online fraudsters and scammers. They pop up in your email; text messages and they will go as far as to call you pretending they know you simply to find details to rob you. Nothing is safe. Last week, the Central Bank of Samoa issued yet another warning against ‘get rick quick schemes’ that promise quick and unrealistic returns. “We wish to advise the general public to be very cautious and diligent in dealing with get rich quick schemes or digital currency investments,” a statement from the Bank said. “It has been brought to our attention that a lot of get rich quick schemes and digital currency investment opportunities being spread around the country through presentations and through social media – ie. facebook! Members of the public should heed the warning. These schemes sound so attractive because once they get a foothold in a community, it becomes very hard to tell people to beware. For instance, according to one source, one such scheme is making rounds among church members where members are encouraged to sign up and collect other members for the promise of thousands of tala in return. The catch is you have to buy into the scheme first. Yes hard cash before you can join. The truth is that if it sounds like a pyramid scheme, then it probably is. And pyramid schemes are illegal in this country. People have been jailed for it. The common denominator in all these schemes is the fact they all operate based on a very simple truth. In this world, nobody will say no to the opportunity to become rich in an instant. Unfortunately, it’s a fact con artists know extremely well and have used this mentality to prey on their victims. It’s also why conmen and women will always target the poor. They know people are in desperate need for money and that’s when they are vulnerable. The offers are certainly attractive. To the eyes of an unsuspecting victim, it would be like a blessing from above. Especially when the promises for return on investment – or whatever you are asked to give – are astronomical and ridiculous. There is also another dimension to these schemes. According to the Central Bank, members of the public need to be aware about digital currency and terms like Bitcoin. “What is ‘digital currency’? Digital currency is the use of electronic money which is different from the money we use physically like our tala notes or coins or even our A.T.M cards,” the Bank explains. “Digital Currency allows for ‘instant’ transactions and borderless transfers from one person to another ‘without’ going through a bank or a money transfer operator. An example of this digital currency is BITCOIN. “What is Bitcoin? At the aftermath of the Financial Recession of 2007, an entity or alias by the name of Satoshi Nakamoto invented a new concept called Bitcoin in 2009. “In this concept, they claimed that the financial crisis was caused by financial institutions such as Banks. Their solution to the financial crisis was to ‘remove’ the financial institutions and let the people deal directly with each other using Bitcoin. 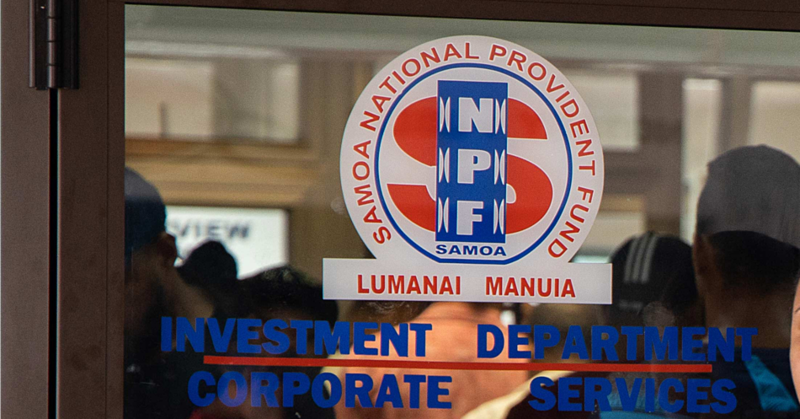 “If you come across these difficult and complex financial concepts and investments, please contact the Central Bank of Samoa for more information. “Before you invest in these types of ventures, please ensure that you fully understand how it works and the benefits and risks of doing so. We couldn’t agree more with the Bank. Folks, these con artists are ruthless, they will strip you naked and leave you hanging if they could. We have to be alert. Very alert. So beware Samoa! Have a safe weekend and God bless!